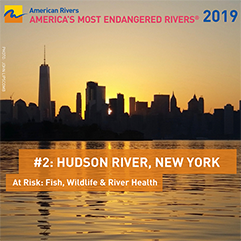 We are seeking champions in local government throughout the Hudson River watershed to adopt river restoration as a priority. Municipal leaders representing communities in the Sparkill Creek, Pocantico River and Saw Mill River Watersheds recently received reports based on community water quality monitoring, with recommended actions to improve water quality. While each is unique, these waterways face several common issues, and can benefit from some of the same actions, detailed below. This page will be updated over time. Initiate watershed planning. A good watershed plan will identify priority projects, and make communities eligible for new funding opportunities.Communities in Westchester County should write to the Planning Department, and express your support for it to develop a regional watershed plan under Department of State watershed planning programs for the Saw Mill and Pocantico Rivers that includes improved water quality as a primary goal. Sparkill Creek communities can explore watershed planning grants available from the Department of State via the Consolidated Funding Application (CFA), or Hudson River Estuary Program. Track sources of contamination. Riverkeeper has assembled a number of streamwalk resources to guide community members in investigations. We are also working with Sparkill Creek Watershed Alliance and other partners to pilot the use of a draft Department of Environmental Conservation pathogen source tracking protocol in 2017. We urge you to support this effort, and engage in other pollution source tracking efforts, such as outfall testing, smoke/dye testing or closed-circuit television monitoring of sanitary and storm sewers, or use of novel sampling methods, such as microbial DNA to distinguish human sewage from other sources. The Center for Watershed Protection has a library of resources on this topic. Reduce stormwater-related pollution. Inspect outfalls under MS4 programs at least annually, in both dry and wet weather, to detect illicit discharges from sanitary sewers, and test water quality on any outfall with observable flow. The Center for Watershed Protection has a library of resources on this topic. Form a stormwater district. The work needed to improve water quality in a watershed with as much stormwater infrastructure as these watersheds would benefit from a dedicated source of funding, such as has been developed via a stormwater fee in Ithaca, N.Y.
Reduce sewage overflow risk. Reduce infiltration and inflow in sewer collection systems, including by maximizing the use of green infrastructure, such as green roofs, streetside bioswales and urban forests. 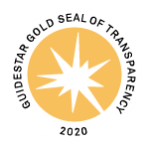 State Engineering and Planning Grants are available, as is Water Quality Improvement Program funding for implementation of projects identified through planning and engineering. The 2015 Water Infrastructure Improvement Act and the 2017 Clean Water Infrastructure Act together represent the largest state investment in clean water in a generation, resulting in increased availability of grants to municipalities for projects to protect and restore water quality. Most projects under these grant programs are typically paired with low-interest loans under the state’s Clean Water State Revolving Loan Fund, and are detailed in the Consolidated Funding Application (CFA), and by the Environmental Facilities Corporation (EFC). Reduce home sewer leaks. Implement an insurance program for property owners to maintain and repair sewer leader lines – the privately owned portion of the sewage collection system. Such programs are in place in parts of Westchester County, and elsewhere around the nation. Communities in Westchester County can get more information by contacting the Department of Environmental Facilities. Increase oversight of residential septic systems. It’s estimated that 10% of on-site wastewater treatment systems nationwide are failing, and the rate of failure is likely older in areas settled prior to modern health codes. For information about management options, review the U.S. Environmental Protection Agency’s Voluntary National Guidelines and Handbook for Management of On-site and Clustered (Decentralized) Wastewater Treatment Systems.